Polamar Skies - Palomar in a Vintage Escondido Travel Brochure | Astro What? PALM-3000, the world's best adaptive optics instrument, is currently on the Hale Telescope, but instead of talking about that, I am going to share a bit of Palomar history. Below are scans from a 1951 brochure put out by the Escondido Chamber of Commerce. You are going to want to click on the image below to view the inside of the brochure which was written by David O. Woodbury. Some of you may recall that Woodbury was the author The Glass Giant of Palomar, one of the first books to tell the story of the 200-inch telescope. 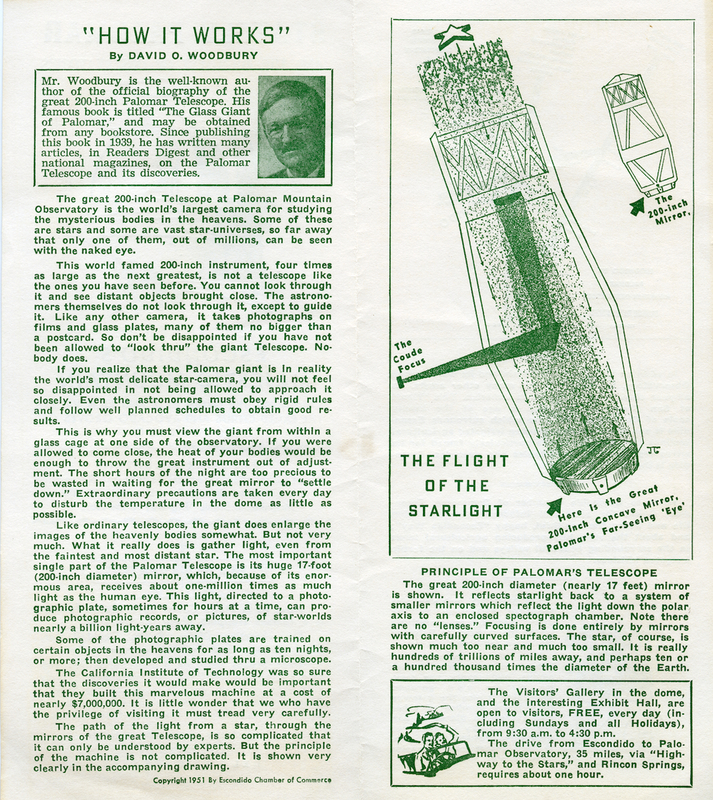 The details described inside are pretty much spot on, but the one odd thing is the diagram that shows off the path of light through the telescope. There are several places where light can be focused and the illustration shows the just one of the three -- coudé focus. 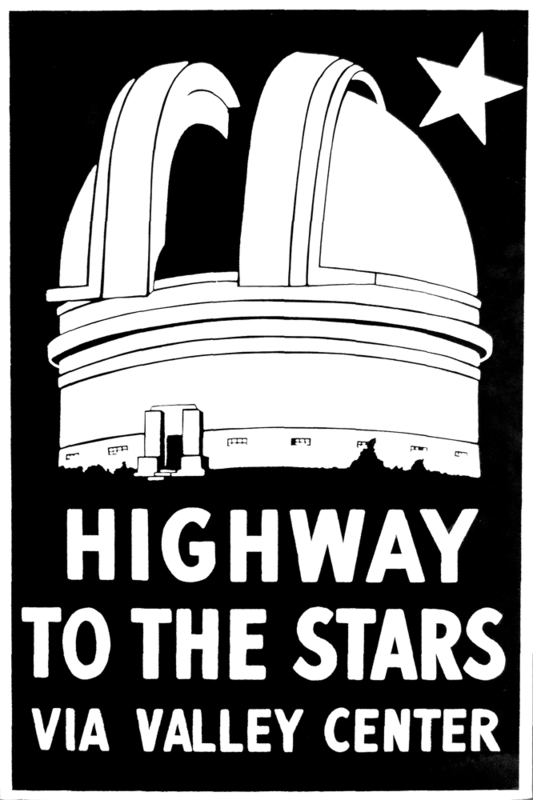 The back cover of the brochure shows the location of Escondido and how to get to the observatory via The Highway to the Stars.